Four years ago I stepped into the halls of Lowe Mill ARTS & Entertainment for the very first time, and I was blown away. A born and raised northerner from Massachusetts, I was completely unsure of what a visit to Huntsville, Alabama would bring. With my entrance into this one building, all of my preconceived notions of the South were corrected. Seeing this creative cultural hub housing so many talents under one roof with so much to explore blew me away. Each day I stayed, the more I learned, and the more I fell in love with not just all that Lowe Mill has to offer, but all that the city of Huntsville has to offer as well. I strove to explore as much as possible, and even now, four years later, I am constantly being surprised by something new. The more I learn, the more I realize how much there is to learn about this place. 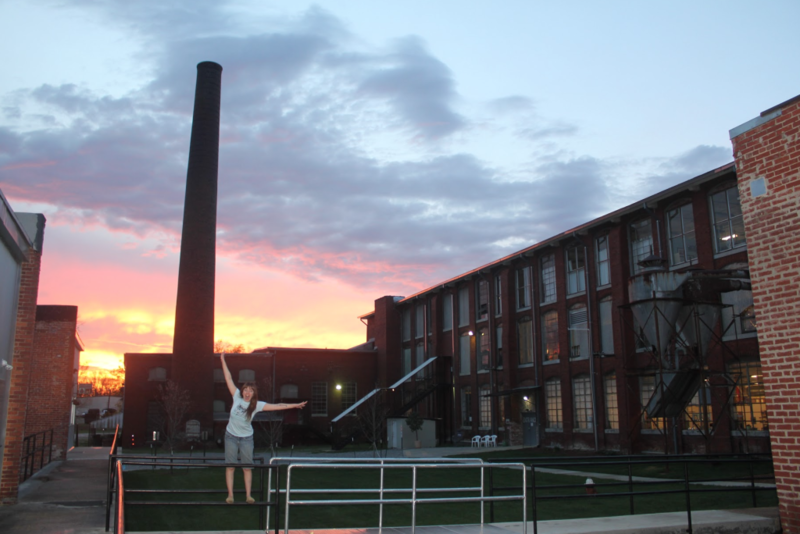 Although I have traveled and lived other places since then, I have remained connected to Huntsville through Lowe Mill. I worked remotely for a while, but realized that promoting all the amazing events going on in the facility was much less fun when you didn’t get to see the hard work come to fruition. So I returned to Huntsville, and I now proudly call the city my home. This building has so many hidden nooks and crannies, a rich history, an innovative community and an overwhelmingly supportive staff. Whether you are visiting for the first time or a regular patron, there’s bound to be some new aspect of the building waiting for you to discover. 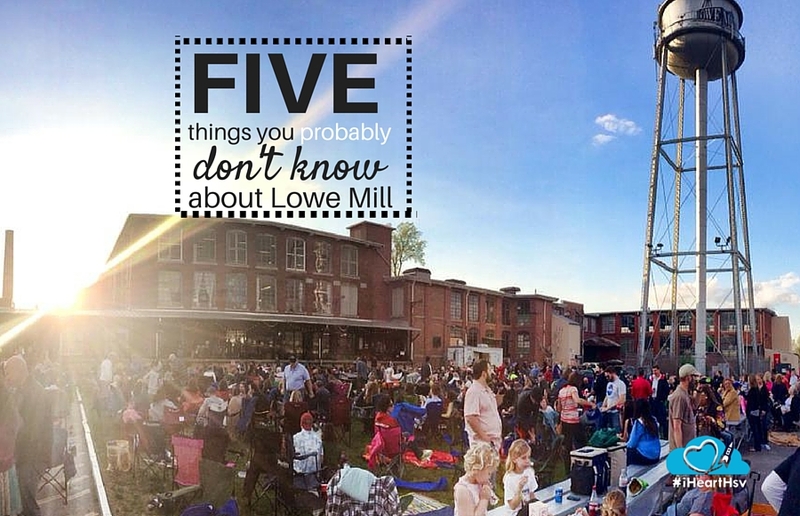 So to help you uncover more gems, here’s my list of five things you may not know about Lowe Mill. 1. The Open Door Policy is in effect here. This means when a studio door is open, you are welcome to go in, explore and meet the artist. So often people just window shop, but we want people to go inside each space! Meeting the artist gives a whole new appeal to the work, letting you hear first hand the inspiration and technique behind each piece. This allows for a much more personal experience in your art collecting. Also, if you see something new that you might want to try, that artist may give classes –it never hurts to ask! It’s because a train used to run right behind those rooms and pick up the cotton that was left out on the loading dock back in the day when Lowe Mill was a textile facility in the early 1900’s. That’s just one of the many historic aspects of the building we hold on to. Walking through the facility you can see the original fans hanging from the ceiling, bask in the glowing light from the original 14-foot windows throughout the facility, and ride in the original elevator operated by our lovely staff. 3. With a building full of creative minds, we’re always finding interesting ways to repurpose and reuse old historic items. 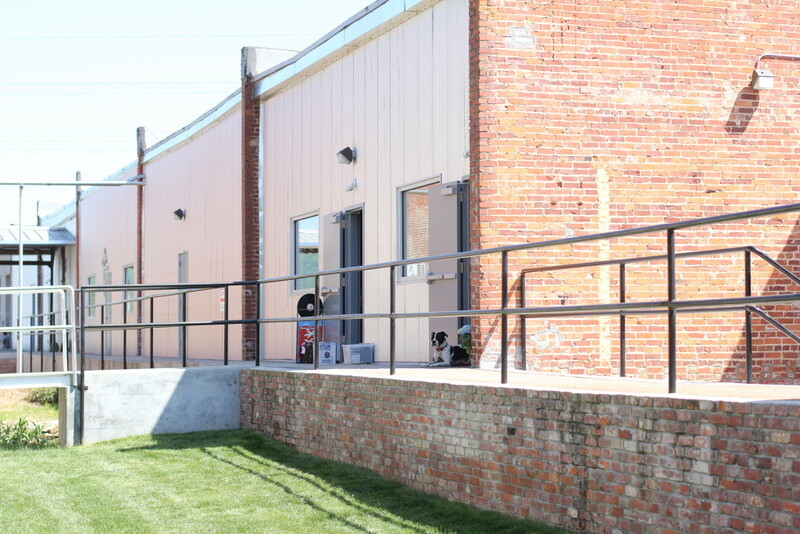 For example, the East Dock (pictured above) awning is held up with repurposed rail from the old track that ran behind the railroad rooms. The cross ties from the track are mounted on the front edge of the dock. So next time you are at a Concert on the Dock, check out these historic aspects of the stage! 4. 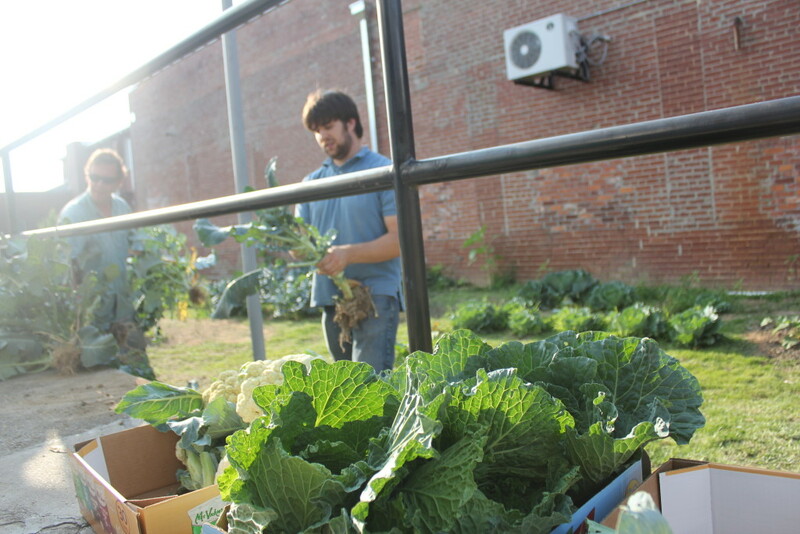 We’ve got a green thumb - Lowe Mill is home to an incredible community garden on the southeast corner of the facility. The Flying Monkey Community Garden is volunteer run and donation based. During the harvesting months you can walk through the second floor to the Community Garden table where a plethora of amazing, fresh veggies will be spread out, and patrons can donate what they can and take what they need. On site culinary artists Happy Tummy, Chef Will, Piper & Leaf and Pizzelle’s Confections use this resource to create many of their mouth-watering menu items. 5. You can discover hidden treasures inside and outside the facility. If you are a fan of geocaching, we have several hidden on the property. Break out your GPS and explore new parts of the property that you may not have seen before! This is just the tip of the iceberg – there are so many more secrets and treasures to discover throughout Lowe Mill ARTS & Entertainment. Each time I learn a new piece of history or find a new hidden gem in the building it reminds me of the magic that I felt the first time I stepped through these doors. I hope that every time you visit our building, you are able to view it with fresh eyes and find something new and exciting that you may not have seen before. 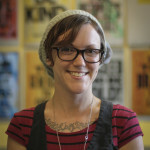 Kimberly Casey is a Massachusetts native, though she has lived most of her adult life nomadically. 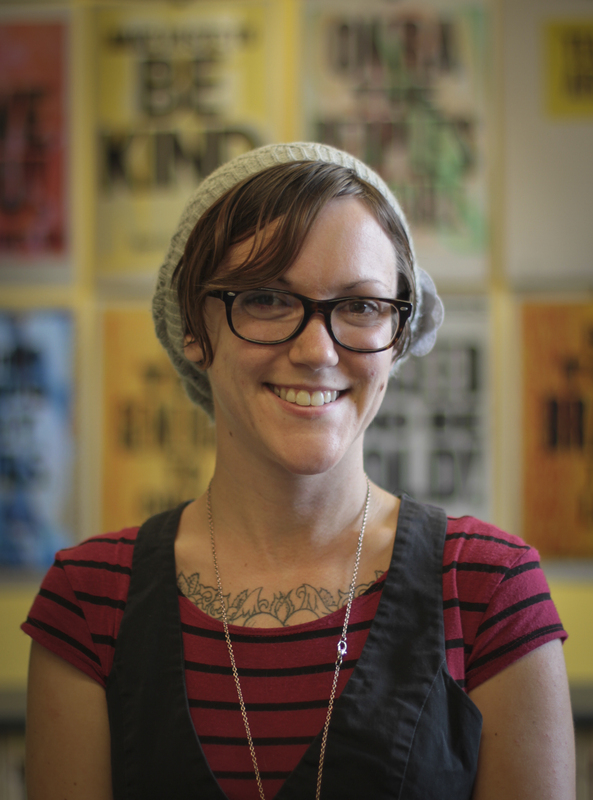 Currently, she resides in Huntsville, Alabama, where she works for Lowe Mill ARTS & Entertainment – a place so creative, colorful and inspiring that this tiny traveler has decided to plant roots. She is the founder of Out Loud, and will now be releasing her first ever self published poetry book titled ‘Learning to Love Anchors.’ She wants you to know you are a beautiful, shiny, wonderful thing, and your voice deserves to be heard.